Hello and welcome to the Sunday Stars linky for this week (17th May). This is a brilliant place to share your favourite posts each week. It is run by a group of us, taking it in turns each week to co-host and this week it is myself and Karen from Mini Travellers. Karen and I are both really looking forward to reading your star posts! Thank you to everyone who joined in last week with our lovely hosts Heledd and Amy. I’m a little embarrassed to say that one of my posts was chosen as Star Post alongside Lucy from Mrs H’s Favourite Things. Lucy’s post, “I was hoping….” is a heart-wrenching piece following her recent miscarriage, and mine was “Dear Princess Charlotte” – an open letter to the new princess from my second born about dealing with an older sibling. Tweet your posts to either of us ( @karenjwhitlock and @minitravellers ) and @SundaysStars using the hashtag #sundaystars and we will RT. 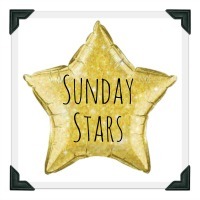 Next week Sunday Stars will be hosted by Sarah and Katie so do check them out to find out who Karen and I choose for our Star Posts from this week. • You can link up to 3 post old or new, anything that you are really proud of and want to share. Thank you for hosting #SundayStars. I loved both of the posts that were chosen as the star posts this week – Lucy’s actually made me cry! Thank you. Lucy’s was heart breaking wasn’t it? I love her writing. Motherhood - The biggest endurance test ever?